Lau, Shui Chun, 88, of Cranston, passed peacefully Tuesday at home. Born in Canton, China, a daughter of the late Gay Dee Chin and Chau Fung Liu she came to this country in 1948. She was the wife of the late Chin Yick Lau and they settled in RI. Mrs. Lau was a jewelry worker for Speidel for 30 years before retiring in 2000. She leaves 4 sons; Gorman (Denis Daly) Lau of Emerald Hills, CA, Gorham (Jean) Lau of Warren, Graham (Donna) Lau of Cranston and Raymond (Kara) Lau of Hope Valley, a daughter, Dilly Lau of Cranston, 12 grandchildren, Paul, Jennifer, Nicholas, Timothy, April, Brian, Amy, Matthew, Melissa, Eric, Samantha and Zakary Lau and 6 great grandchildren, Ethan Gendron, Madison and Henry Dohm, Analese Lau and Jonathan and Alison Stewart, and daughter - in - law Brenda Lau of Travers City MI. 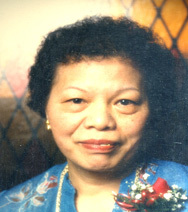 She was mother of the late Gordon Lau. Her life will be celebrated with calling hours Friday from 4:00pm to 6:00pm in the Stapleton Family Funeral Home, 684 Park Avenue, Cranston. Funeral Saturday at 9:00am from the funeral home with a service at Beneficient Congregational Church, 300 Weybosset St., Prov. at 11:00am. Burial will be in Highland Memorial Park, Johnston.